Welcome back to the Comprehensive Beatdown, Episode 11. 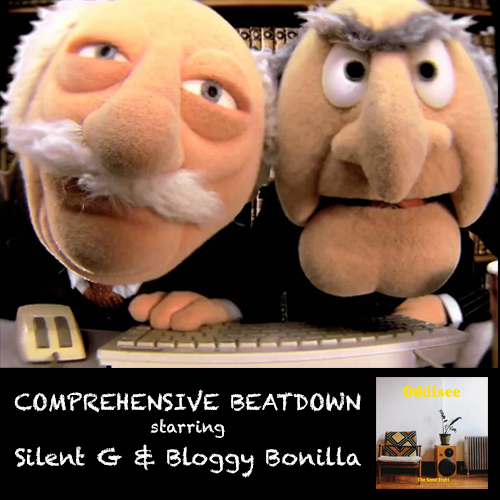 This week, Silent G and Bloggy Bonilla tackle “The Good Fight,” the newest offering from Oddisee through Mello Music Group. Oddisee handles all the production and rapping on the record, as he continues to evolve his sound as well as his lyrical acumen. Guests on the record include Maimouna Youseff, Nick Hakim, Tranqill, and Gary Clarke Jr. The guys also check out a track from the most recent Oh No & Alchemist collaboration as well as songs from the new Blueprint and Nosaj Thing records. The local track for the week is supplied by Jackson, MS based artist Spook. Thanks as always for listening. We will be taking a break next week, so look for us again in a couple weeks.